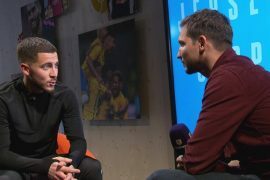 While it certainly hasn’t been the best season for Chelsea men’s team, it has been quite the opposite for the ladies side as they have signed off a great campaign with a fantastic double. 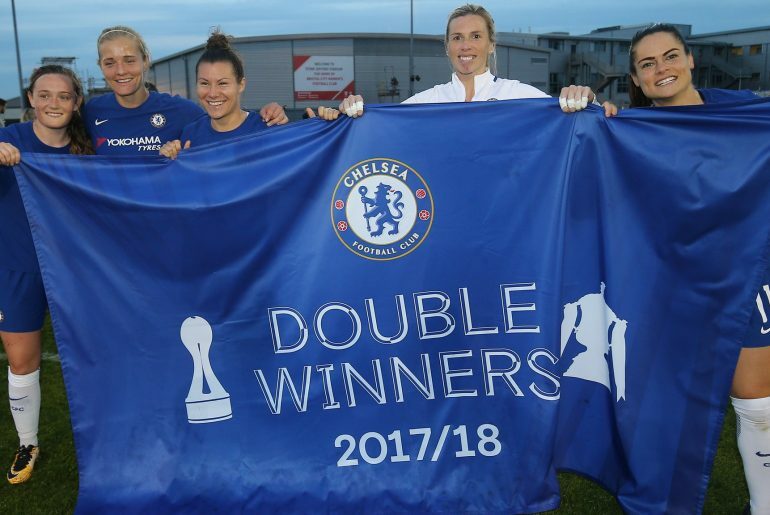 After winning the FA Women’s Cup at the beginning of May with a 3-1 victory against Arsenal in the final, the Blues confirmed the Super League title with a 2-0 win over Bristol City Women on Tuesday night. This is the second domestic double completed by the girls as they also won both trophies back in 2015. Fran Kirby played towards the end of the 2014/15 season and was a vital addition to the side but it’s her impact during this campaign that has been even more impressive. Not only did she take home the PFA and Footballer Writer’s Association women’s player of the year, but she also scored the fourth goal in the FA Cup final to ensure it would be her side getting their hands on the famous trophy. The win against Bristol City was never in doubt as Drew Spence’s first-half goal gave the hosts a mountain to climb against their dominant style of play. The final sucker punch was delivered deep in the second-half as Jonna Andersson fired home to secure the points and the league title. This gave the Chelsea Ladies a nine-point lead at the top of WSL, meaning that with just two games left, fellow Champions League semi-finalists Manchester City can’t catch them. In many ways, this season has been a groundbreaking one for women’s football with much more exposure justifiably given to ladies football in the mainstream media. The FA Women’s Cup was watched by over 45,000 people at Wembley and many more at home, a new record for the competition. 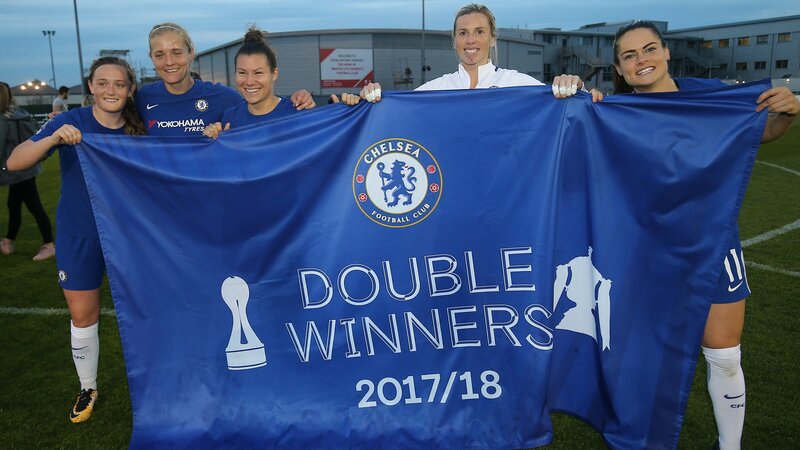 Hopefully, with the success of the Chelsea Ladies, Blues fans will get more involved in watching the women’s game and get behind the men’s side’s female counterparts who will be looking to win the UEFA Women’s Champions League next term.